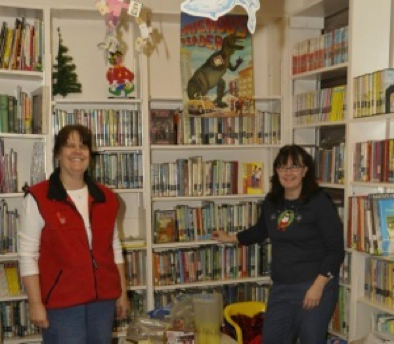 The library has a collection of children's books as well as adult fiction and non-fiction books that are updated on a regular basis from the Glacier County Library. Interlibrary loan service is available. All community members and visitors are welcome to come and use this resource. Open Wednesday afternoons from 4 P.M. to 6 P.M. Served by the volunteers of the Glacier Park Women’s Club. Roz and Berta are two members of the Women’s Club who staff the library.